Why should you choose New Moon to help you to distinguish yourselves from the rest? Simply, we bring you the most sincere commitment. We respect your needs and care enough to ensure your delight and satisfaction with the final package. We have an exciting and professional team, easy to work with and accommodating to your desires, and needs, throughout the entire process. Her grass roots experience, in addition to her countless hours of volunteer involvement with hometown events and community non-profits made it possible to understand what a town really needs to promote itself. From identity, to print, web design, and social media to community-inspired events — Kim relates to downtowns from every perspective in order to covey their true essence consistently in every medium. Kim loves to travel around the world with husband, Darin, by plane, boat, car, or motorcycle. They usually end up in small cafés drinking lattes and taking in the atmosphere that different cities have to offer. Sandra’s dynamic energy and results-driven design work have made her the go-to resource for organizations seeking to exceed donation goals or building image and awareness. Her work blends smart, attention-getting design with unmatched elegance and is always on strategy, on time and on budget. She’s the recipient of numerous health care marketing awards and the prestigious Scarab Club award. When she’s not hiking, biking or searching for beach glass along Great Lakes coasts, Sandra is busy keeping up with her two standard poodles, husband and daughter. Sharman loves retail. She’s worked with retailers and service industries for over 30 years. She recognizes their need to reach potential customers with results oriented, cost effective and creative advertising. Sharman makes time for the non-profit foundation FACES (Family and Caregivers, Education and Support) that she created in memory of her husband Philip. The foundation works with families, patients, and caregivers dealing with pulmonary illnesses and diseases of the lung. Years of experience and research into what motivates business and leisure travelers at home and abroad have given Jennifer unique insight and perspective. Her recognized abilities to identify and promote the aspects of locations and services that will draw travelers have earned her loyal clients and international recognition. Never one to heed “don’t try this at home” warnings, Jennifer spent 12 years skydiving before settling down to start a family and run marathons. If you want someone to dig through your grassroots and embrace your community, New Moon Visions is the company you’re looking for. They are easy to work with and will give you 100% commitment to find your new identity that will fit your organization. 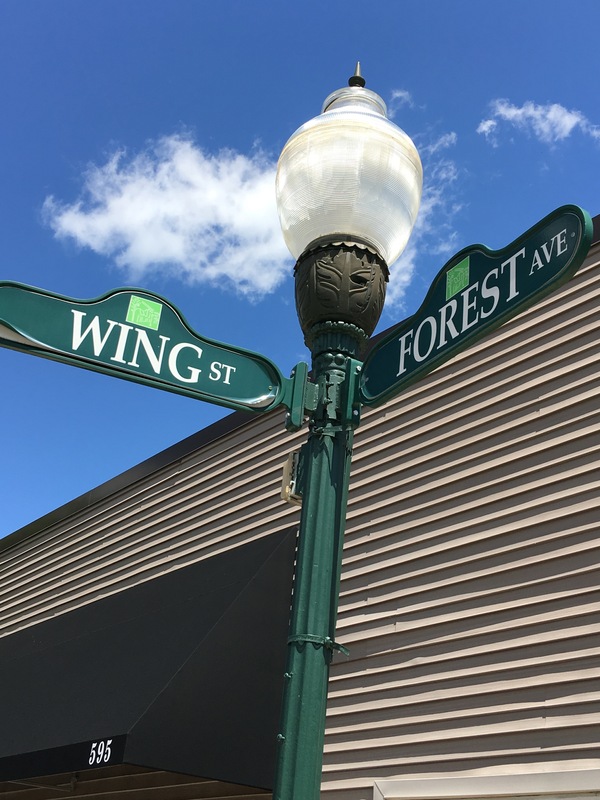 With the help of Kim Rivera and her creative staff at New Moon, the City of Northville launched and impressive marketing and promotional campaign for Downtown Northville. New Moon provided excellent client service that went above and beyond contract services. They were able to bring a diverse group of players together to find a common vision for the community. New Moon Visions, established in 1990, has served a wide variety of clientele, ranging from retail and dining, to corporate, healthcare, and communities. With over 100 years of collective professional experience, over the last several years, we’ve honed our craft and technique in marketing towns, which has worked very successfully with all the communities we serve. As a matter of fact, marketing communities is all we do. We’ve produced audience-grabbing materials for multiple organizations and communities from Michigan to California including: Michigan Downtown Association, Michigan Local Government Management Association-Next Gen, Milford, St. Louis, Allen Park, Plymouth, Brighton, Northville, Petoskey, Canton, Fenton, South Lyon, Oscoda, Pinckney, Milan, Monroe, Vista Village, Oceanside and Monterey Park.